Redwood Bridge Estates – Final Phase Just Launched! Your last chance to own a spectacular Walnut Grove Langley townhome at the Redwood Bridge Estates is upon the market. The final phase release of luxury Langley townhomes for sale in the much desirable Walnut Grove community is now here with move in ready homes priced from just $419,900. Here are some quick facts about the remaining homes for sale: luxurious spacious Redwood Bridge Estates Walnut Grove townhomes between the sizes of one thousand seven hundred and seventy to twenty three hundred square feet in size with exquisite finishing details and loaded with upgrades, presales Langley homebuyers don’t have to wait anymore, as they homes are ready for occupancy. Surrounded by lots of greenspace and located in a one of a kind natural setting within the Walnut Grove Langley real estate market, Redwood Bridge estates townhomes has just launched a new show home that is open weekdays from 12 noon to 4pm as well as weekends from 12 noon to 4:30pm. Visit www.RedwoodBridge.com today for more information including floor plans and interior details or you can call 778.298.6675. As you enter the Walnut Grove Langley Redwood Bridge Estates community, you will be greeted by twenty two giant redwoods, which are beautiful and create a heritage atmosphere that is both naturally beautiful as well as striking. With the first two phases of Redwood Bridge Estates Langley homes for sale now complete, the last and final phase of this Walnut Grove real estate development is now upon us. A great combination of both naturally stained timber with stone columns give it a forested West Coast architectural look and feel. These large homes for sale at the Walnut Grove Redwood Bridge Estates in Langley feature great spaces for entertaining as well as tones of storage space, a huge deck and awesome location close to the Fort to Fort and Canada Trails in addition to being next to the Redwood Trail itself. The large bedrooms and sumptuous bathrooms are not undone by the side by side garages that every Redwood Bridge Estates Langley home for sale features in its floor plan. This is your last opportunity to purchase a new Walnut Grove Langley townhome, so visit 21704 – 96th Avenue, Langley for more details. The grand opening of the new display home is September 12th and 13th. Preparing for a mid-July grand opening, Canterbury Ridge Langley homes will bring 27 single family homes to Langley’s Popular Willoughby neighbourhood. Boasting spacious great room design, these four-bedroom homes feature oversized windows, kitchens with both eating bar and breakfast nook, and a host of upscale finishing details. Now under construction, Canterbury Ridge is located at 19756 – 70th Avenue. Prices at Langley’s pre-construction development start at $589,900. For more information, call 604.539.1196, or visit www.canterburyridge.ca. For more details about the presale Chilliwack Ameera Place apartments OR Mission Fraser Landing Homes OR Ladner Linden Mews Single Family Homes or Ladner Arthur Glenn Homes, follow these links. Coming Soon! Three and four bedroom waterfront homes at Kingfisher real estate development community. Kingfisher – Colonial inspired single family homes and waterfront Rowhomes located within MOSAIC’s Osprey Village in Pitt Meadows. These rare and thoughtfully designed homes are situated in a pastoral setting with a stunning mountain backdrop. 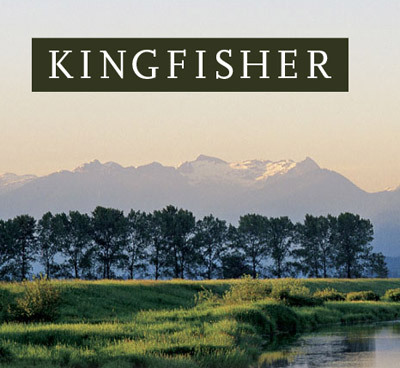 Register today for the Pitt Meadows Kingfisher MOSAIC development by calling 604.696.1501 or visit www.kingfisherliving.ca. Kingfisher is MOSAIC’s latest addition to the riverside community of Osprey in Pitt Meadows. These are 32 single family detached, semi-detached and riverfront rowhomes with thoughtful design and architectural detail. The Waterfront Kingfisher Pitt Meadows homes and rowhomes blends space, function, and elegant floorplans with stunning Colonial Revival architecture. Only a short distance from the much anticipated Golden Ears Bridge, Kingfisher is located in a quiet, pastoral setting bordered by farmland and the Fraser River. Sales for Kingfisher townhomes and rowhomes in Pitt Meadows begin late fall 2007. Be sure to register early. For more details and to register for the latest updates about Kingfisher homes, please cal 604.696.1501 or visit www.mosaichomes.com. East Clayton Townhomes by Lakewood Group Developments Ltd. There are three townhouse and town home real estate property developments happening in Clayton district of Langley by the trusted and experienced developer: Lakewood Group. Two Blue features Clayton Townhomes between 1323 to 1985 square feet and are priced from $291,000. You can contact Arlene Lambert at 604.575.4710 for more information regarding Lakewood Group’s Two Blue Townhomes in Clayton or by visiting 19455 65th Avenue. Also, there is Madrona Townhomes Clayton Langley by Lakewood Group Developments and they feature 1961 to 1977 square foot townhouses priced from $359,900. You can contact Wayne Gervan at 604.575.4006 or visit 6785 193rd Street for more details about the Clayton Madrona townhomes. Ixia by Lakewood Group is the final townhome development by this developer in the Clayton community and they feature homes between 1200 to 1855 square feet and are priced from an affordable $273,900. Again, Wayne Gervan is the contact sales agent or you can visit 6575 192nd Street to find out more about Clayton’s Ixia townhomes. All showhomes are open daily 1 – 5pm. Visit www.lakewood.ca for more details. > Living your way. Now selling from $489,900. A limited collection of 14 elegant single family homes in central Langley are now available at Jeffries Landing real estate development community. Conveniently located near shopping, schools, and major commuter routes. West-coast design architecture, quality construction, full basements and fine finishing are showcased in these beautiful new Kooney Homes at Jeffries Landing in Langley. Register today at www.kooneyhomes.com or call 604.788.7975. The show home for the Langely Jeffries Landing single family homes is located at 7007 201 St and they are open noon to 6pm daily (closed Fridays). > Quality built townhomes in Langley by Imagine Developments. Luxurious townhomes featuring: granite counters, entertainment sized covered decks with natural gas outlet, beautifully finished, accented with crown mouldings, 9 foot ceilings, oversized windows, private fenced yards, 3 levels finished, units with 2 slate fireplaces, surrounded by greenbelt and solid maple hardwood flooring. Golf course views and creekside homes at Redwood Bridge Estates in Langley are now available. Showhome open Saturday and Sunday 1-4pm at 21704 96th Avenue in Langley. > For more information about the Redwood Bridge Estates, please call 604.542.0566 or visit www.redwoodbridge.com for precompletion bonuses. “Live among the giants.” Upscale 3 bedroom townhomes with side by side double garages. 1770 to 2283 square feet. Unique site with historic Giant Redwood Trees and brige with water feature at the Langley Redwood Bridge Estates homes. From $439,900. A small collection of pre-construction Langley townhomes is taking shape at the Redwood Bridge townhouse development in Walnut Grove real estate market. You can now move-in today as the Walnut Grove Langley townhomes are either nearing completion or ready for occupancy already. The presale Redwood Bridge townhomes feature homes between seventeen hundred to twenty three hundred square feet in interior living space and with prices starting from just $459,900, the presale Langley townhomes are some of the most affordable Walnut Grove real estate properties in the community. Ask about their Fall Special as well. The Langley Redwood Bridge Walnut Grove townhomes is a set of luxury family homes surrounded by greenery, and some residences have outstanding views of the golf course surrounding this master planned town house community. In addition, the standard features in these presale Walnut Grove Redwood Bridge townhomes include such details as stainless steel appliance set, entertainment sized decks that are also covered from weather, two gas fireplaces in all floor plans and granite countertops. In addition, the presale new Redwood bridge Langley townhomes present hardwood floors in all main living areas as well as convenient double car garages with remotes for easy in and out of your home. If you are interested in purchasing a new Walnut Grove home, consider the new Redwood Bridge townhomes located at 21704 96th Avenue in Walnut Grove Langley BC. You can visit the show home that is open on Saturday and Sundays from one to four in the afternoon. In addition, you can call 604.542.0566 or visit their marketing web site at www.redwodbridge.com for additional details about these new Langley townhouses. Now selling in the Langley real estate market is the final phase of Redwood Bridge Estates homes which is tucked comfortably into a rich, green landscape featuring almost two dozen one hundred year old redwood trees. A full four of the eight acres of the Walnut Grove real estate community at the Redwood Bridge Estates townhomes will be dedicated to protected green spaces. The pre-construction Langley homes at Walnut Grove will feature open floor plans, luxurious finishing details and the ambiance of living amid a natural parkland. Redwood Bridge Estates pre-sale Langley townhouses for sale is an exclusive enclave of only 48 new townhomes priced from $429,900 and ranging between 1770 to 2283 square feet. The new Redwood Bridge Estates Langley presentation centre and display home are open noon to four every Sunday or by appointment and is located at 21704 96th Avenue in Walnut Grove real estate community in Langley BC. For more details and to book a viewing time, please contact 604.542.0566 or visit www.redwoodbridge.com. Be sure to ask about the pre-sale Redwood Bridge Estates’ Walnut Grove Langley special Winter Savings Bonus. Show home open daily 1 – 5pm (except Fridays) and is located at 59th Avenue and 164th Street – 5975 – 164th Street in Langley. Westridge Langley Estates reachable at 604.576.2120 and marketed by Paola and Akis and you can visit their web site at www.westridge.bc.ca. New homes available a the Langley Westridge Estates and prices start at just $589,900. Custom built 2 storey and basement homes located on a sunny south slope with views. European quality and craftsmanship are offered in our great room and traditional style homes, with exceptional finishing. Also, standard features at the Westridge Estates homes in Langley include hardwood floors, recessed maple cabinets, granite countertops, crown mouldings, ceramic tile and much more. The real estate builder reserves to right to change prices without notification. All prices are plus GST. Vinterra at Morgan Heights Surrey - Final Home in Phase 1 is Now Available. Last One! The deluxe developer show home now released for sale here at the Phase 1 Morgan Heights Vinterra homes for sale. We are down to our last home in the initial phase at Vinterra at Morgan Heights. It's our Show Home and it's now for sale. The next phase at this new Surrey real estate development at the master planned Morgan Heights neighbourhood is coming soon but we want to sell this Show Home first. At 3,070 sq.ft. this stunning home is certain to impress. Features of this final Vinterra at Morgan Heights Surrey home for sale include hardwood on the main floor, 9 ft. ceilings, stone counters, stainless steel Jenn-Air appliances, 3 bathrooms with Nuheat floors*, powder room on main, 4 massive bedrooms and 3 fireplaces to keep you comfortable. Construction on the next phase of the Vinterra Surrey homes development will be starting in December and we expect our first Morgan Heights homes to be ready in June 2010. But first things first... Our last Phase 1 home is now available at prices you won't see in Phase 2. This last Phase 1 home has $40,000 worth of upgrades compared to the typical home. Don't let this one get away. Stop by this weekend and see for yourself the benefits of living at Vinterra at Morgan Heights Surrey real estate development. A convenient Morgan Heights location, large living space and a clean, uncluttered design will offer you unmatched comfort and style. This LAST PHASE 1 HOME is located at 51 - 2603 162st. Our Show Home hours are noon to 5 daily (closed Thursday and Friday). To arrange a private tour please call 604.536.7171. Give me a call today to learn more about this stunning home. Catherine, Surrey Vinterra Homes Sales Manager at 51-2603 162nd St, Surrey, BC - 604.536.7171 - www.vinterravillas.com. In the tradition of the legendary Frank Lloyd Wright, the architecture for Vinterra South Surrey is elegantly simple, refreshingly clutter-free. Exterior surfaces of wood and brick are expressed in a natural palette of charcoals, soft greensand earth tones. Inside, the Vinterra at Morgan heights homes are spacious – ranging up to 3,800 square feet of luxurious design and superior finishing details. Set amid trellised grapevines, natural landscaping, and fine amenities, and found at 2603 – 162nd Street in Morgan Heights, one of Greater Vancouver’s most desireable new areas, Vinterra South Surrey Villas are now accepting registration. Priced from $700,000s. For more information about the Vinterra villa estates, call 604.536.7171 or visit www.vinterravillas.com. Make a beautiful decision at the White Rock Vinterra at Morgan Heights Villas ranging from 3200 square feet with superior design. Now the only decision is teak or charcoal. An excerpt from the Westcoast homes and Design magazine that promotes Vinterra at Morgan Heights explains: Spacious three and four bedroom homes in the heart of South Surrey’s Morgan Heights community will appeal to growing families as well as empty nesters who want to reduce the yard work but retain space for entertaining. Located in the heart of the emerging neighbourhood of Morgan heights, Pacific Rim’s Vinterra will be the standard by which the area is measured. Designed for comfortable living, it is sure to be home to growing families, empty nesters and in between years. Surrounded by new, significant commercial development, Vinterra in South Surrey is ideally located for convenient living – within walking distance of new commercial “smart centres” featuring grocery, retail and services, everything is just next door. Vinterra at Morgan Heights is not easily pegged as a home for any one particular group, but rather will undoubtedly become a community of generations. Growing families as well as those wanting to downsize their yard work but not their desire for space to entertain. Vinterra homes that range from 3,079 to 3,800 square feet offer many choices for each owner – three and four bedroom homes with great rooms, dens and additional “flex” space provide many options. In addition to the spacious main and upper floors every Vinterra home includes a minimum of 1,000 square feet downstairs, opening up possibilities for a wine cellar and bar, billiards, entertainiment area or all of the above. Influenced by the design principles of Frank Lloyed Wright, Vinterra at Morgan Heights in South Surrey homes are inspiring both hinside and out. Unique in their clean, contemporary exteriors, every home is thoughtfully designed for lasting value and beauty. Nine-foot ceilings throughout accent the five spacious floor plans. Adding an extra flair to the floroplans are double-height ceilings in most living rooms, bathed in natural ight. Open plans are thoughtfully designed for an entertaining lifestyle but intimate enough to curl up with a book in front of the gas fireplace. When Vinterra at Morgan Heights residents feel like some exercise or getting together with neighbours, Veinterra offers the Club at Vinterra – a vineyard surrouned central clubhouse that offers exercise and social acivities in three separate buildings. The fitness building has all theupt to date equipment needed in a community of this quality. Also included is a wine lounge with an outdoor fireplace overlooking the central vineyard of South Surrey’s Vinterra homes. The club also includes a self-containing guest suite for friends or family to use when visiting. Landscaped with aromatic lavender and grapevine, the Vinterra Club will become a social and cultural meeting place for South Surrey Morgan Heights residents to gather and enjoy one another’s company. The two furnished show suites are located just off 24th Avenue at 162nd Street in South Surrey. Register for the Morgan Heights Vinterra real estate development online at www.vinterravillas.com or telephone 603.536.7171 to speak to a member of the sales team. Currently priced from just $800,000s. Now the only decision is teak or charcoal. Thank you for your continued interest in Vinterra, a collection of contemporary villas inspired by Frank Lloyd Wright at the heart of Morgan Heights . Be among the first to own one of these beautifully designed contemporary homes. Vinterra villas are exceptionally designed 3,070 to 3,800 sq. ft. spacious 3 and 4 bedroom homes situated just above Morgan Creek Golf Course. Such refined living has received excellent demand and as a result we have decided to release a select number of homes before the display models are built. As a preferred registrant we would like to offer you the chance to own at Vinterra Villa Homes at Morgan Heights prior to the general public. To secure your home at Vinterra please call today to book your appointment! Be sure to visit our website at www.vinterravillas.com to view the floor plans, explore the area and discover all that you need to know about living at Vinterra. Vinterra Homes promises to be Morgan Heights ’ most luxurious community. Call 604-536-7171 to book your exclusive appointment. Vinterra Morgan Heights - Phase four now released! This week marks the release of phase four at Vinterra. Homes at Vinterra are selling at a fast pace, so don’t miss out on this latest release. PLAN B IS A FIRST CHOICEPhase Four at Vinterra at Morgan Heights contains twelve additional townhomes, four of which are the popular B plan, which sold all but one in our first three phases. This popular Vinterra Morgan Heights plan will sell out fast, so don’t miss out own owning your dream home at Vinterra. Call us today at 604.536.7171 to schedule an appointment or drop by our Presentation Centre at 2603 – 162nd Street, Surrey. Here you can tour two beautifully furnished show homes and the fabulous amenities Vinterra has to offer. Our South Surrey Presentation Centre is open daily from 12pm to 5pm everyday, except Fridays. March was a very good month at Vinterra at Morgan Heights real estate development and so far, April is shaping up to be just as good. We now only have 10 pre-sale Surrey homes for sale remaining. Vinterra at Surrey's Morgan Heights neighbourhood has experienced an increase in traffic and sales over the past 2 months. The combination of historic lows of current financing rates and Vinterra Morgan Heights homes for sale reduced pricing ($150,000 off the original offering price*) combined are creating amazing value for this stunning community. Now is the time to buy! The recent sales at Surrey Vinterra homes for sale at Morgan Heights community have resulted in all 3 of our fully furnished show homes being sold. This means, we have new Surrey Morgan Heights display homes for you to view. Please come by to view the new 3,070 sq ft, 4 bedroom, B plan and our 3,800 sq ft, 3 bedroom, E plan. Join us this weekend to see our 2 brand new show homes, two of only 10 homes remaining. While we only have 10 remaining new Surrey homes for sale, we still have each home type available, including 2 floor plans with master bedroom on the main floor. At Vinterra our new Surrey homes for sale are complete and ready to move in. Vinterra Morgan Heights homes start in the mid $600,000's and range from 3,070 sq ft to 3,800 sq ft. Make us an offer today. The next phase at Vinterra Surrey real estate development will not start until the market makes sense to do so. With that said, you can be sure these prices will not be seen again. 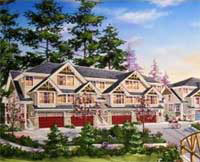 Act now as these special pre-construction Morgan Heights Surrey homes are not going to be available for long. Visit us online at www.vinterravillas.com prior to seeing the real thing. You will fall in love with Vinterra.